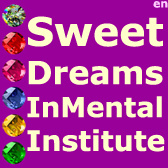 Buy ( Audio with InMental Hypnotherapy Session ) the Psychological Software from InMental in English, especially adapted to your particular specific problems! 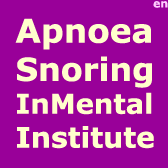 You should start by selecting the InMental Hypnotherapy Session that you want. What happen after you purchase the InMental Psychological Software especially adapted to your particular specific problems? After purchasing the InMental Psychologic Software you will be contacted by e-mail and by telephone for you to tell us the exact modules that you need. We will also call you by telephone to better understand your problems, with the objective to produce your Psychological Software, especially adapted to your particular specific problems. 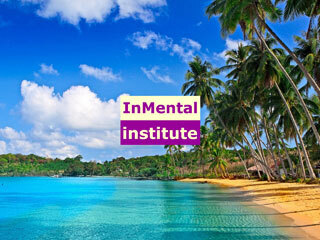 What to do after receiving your InMental Psychological Software? What is it Psychological Software, or Psychology Software, or Psycho Software? Or, now in French, Logiciel Psychologique? What makes us to do exactly the opposite of what our Conscience tells us to do? Why do we Eat, Drink, Take Drugs, Gamble, Smoke, … more than the limits of our capacities? What makes us to go to the Refrigerator, in the middle of the night, to eat and drink more than what we can? Our Critical Sense tells us that we should not, WE CAN NOT… nevertheless, we do exactly the opposite. And why The Medicine has no capability to solve these problems? Simply, because these anomalies are in the area of the Psychologic Software and not in the domain of the Physiologic Hardware. The Physiologic Hardware is like the Computer Hardware and the Psychologic Software is like the Software that operates (runs) inside the Computer Hardware. The Medical Science, or Medicine, with all their remedies, medicaments, treatments, surgeries is prepared to take care of the problems of our physiologic domain, or by other words, of our Physiologic Hardware. And when there are anomalies in our Psychologic Software it should be the Psychology Science that should take care of them. There is a small area – the Psychiatry – where things are a little mixed: the cases of physical lesions in the physiologic hardware that contains, in it, the psychologic software, like physical damages in the brain that can affect directly the functioning of the rational system. The case of accidents where beating with the head, or with one object can destroy part of the brain. Or a genetic malformation, like the mongolism, between other examples. - And we also have in our brain the CPU (Central Processing Unit) that corresponds to Rational Central Processing Unit of the human being, which handles as well the Critical Sense. The problems of the Psychology Domain are of superior complexity for the traditional Medicine, Psychiatry and Psychology, because these sciences have serious difficulties in accepting that a human being is basically a biological computer, with the capacity of interacting with the environment through their input and output peripherals, by executing the functions of the Psychologic Software that runs inside of his brain. The problem is even more complicated to understand, and much more to solve, when what the Patient says has nothing to do with the Real Truth that goes really deep at the bottom of his SUB-CONSCIENCE. Simply because when the Patient speaks, with the medical doctor, psychiatrist or psychotherapist, he is talking using the Conscient Memory and Logic that are in the Conscience. By other words, when we are awake, or conscient, we do not have direct access to the information and logic that are in the Sub-Conscience. The Sub-Conscience Memory and Logic are responsible for the functioning of all our body and internal organs (heart, lungs, liver, stomach, kidneys, …): for example, it is not our Conscience Memory or Logic that can give direct orders to our internal organs. Just talking with a Conscient Patient, only gives us access to the conscient information or the symptoms; never to the causes. Because, in reality, the Impulses that oblige him to do what he SHOULD NOT DO are very well rooted, deeply inside his SUB-CONSCIENCE. But he, even, does not know them, because they are not accessible to its Conscience! If we accept that we are, also, biological computers, everything will becomes much easier. We can develop and implement PSYCHOLOGIC SOFTWARE that interact directly with the Sub-Conscience, just like Computer Software, Plugins or Patches that are specifically design, programmed and used to efficiently resolve specific and punctual problems of the Psychologic Software of the Human Mind. (3) UPGRADE Psychologic, as a programming to improve the functioning or to restore the Psychologic Software of the Human Mind Sub-Conscience. Here we present to you some of the PLUGINS, PATCHES and UPGRADES, designed and programmed that will interact, according to the specific problems of the psychologic software of the patient, with the Sub-Conscience and will be able to solve some of the anomalies that so much disturb your day-to-day life. So, if you have one of this "malfunctions" and you want to solve them, give it a try… you have nothing to loose… and you will see, for your self, how amazing this InMental Therapy is in helping you to solve your psychological problems. By the way! We can develop and program Psychologic Plugins, Patches or Upgrades for other specific problems… of course, only if they belong to the Psychologic Domain. So, in case that your problem is not defined here, we can design and conceive a PSYCHOLOGIC SOFTWARE tailor-made for you. For that you just need to define to us, in detail, your specific problem. The InMental Psychologic Software is available in four languages: English, French, Spanish and Portuguese. It is Forbidden to use any copy, or any part, of this document without a proper written authorization. All Rights Are Reserved Worldwide by the Law, Since 2008. There are no refunds or devolutions! The Act of listening or viewing a product it is considered The Act of consuming that product. So, due to the low value of the product, after the purchase: we do not accept refunds or devolutions.